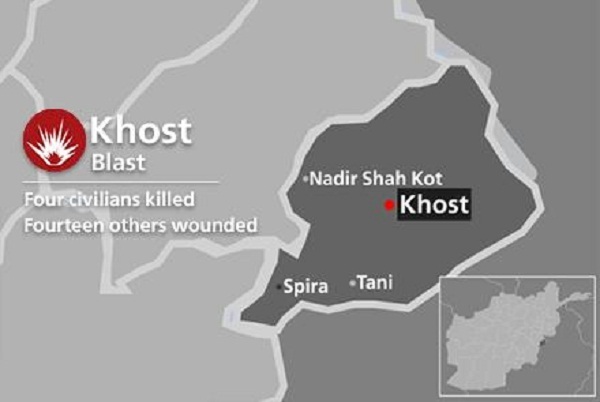 At least four civilians were killed in a blast in Khost city of eastern Khost province on Sunday afternoon, local officials confirmed. In addition, 14 others were wounded in the blast. The blast took place in the underground section of Hamam market in Khost city after explosive devices where detonated killing a civilian and another three, a spokesman for provincial governor, Mubarez Zadran said. However the wounded people are receiving threats at the government hospital, Ansari said.